design by Emily Henderson and James Henderson. Every night, an untouchable woman walks into the Copper Hog bar like she owns the place, but always leaves alone. Men fall over themselves trying to get her attention, but it’s a woman from her past who forces her to give up her secrets. 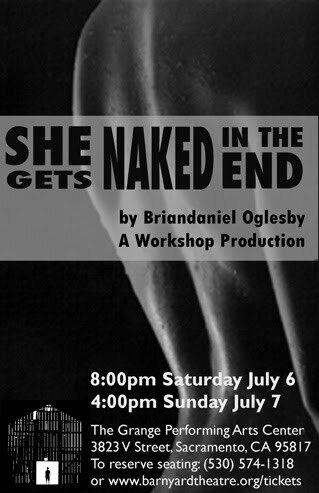 She Gets Naked in the End will go through a weeklong rehearsal and design process, culminating in two staged performances. Come be a part of the development of this captivating new play!